Why theater? : Imaging life without being in the theatre is unbearable to me. Tell us about The Bellagio Fountain Has Been Known to Make Me Cry: Bellagio peaks into the lives of three people. Who, when faced with a leak, have new insights and major changes in their dearest relationships. What is it like being a part of The Bellagio Fountain Has Been Known to Make Me Cry? : I always enjoy the collaborative effort behind any production. However, the level of warmth that I feel from Renee, Eric, and everyone involved is making this experience particularly special for me. What kind of theater speaks to you? What or who inspires you as an artist? : I tend to be drawn to straight plays that examine a moment in the life of its subjects. I am inspired by plays that really dive into the human condition and allow for the audience to subjectively empathize with the story being told. I've enjoyed Shakespeare as well as Tennessee Williams, August Wilson, and most recently Sam Shepherd. Any roles you’re dying to play? 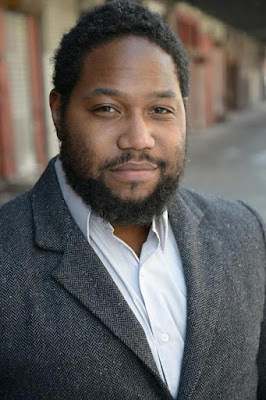 : Aaron the Moor, Othello, a second shot at Troy Maxson! What’s your favorite showtune? : Music Man until there was you! If you could work with anyone you’ve yet to work with, who would it be? : I can't think of who it would be. I've been inspired by so many people I've worked with. I'd like to work with anyone with whom I can learn from, artistically or otherwise. Who would play you in a movie about yourself and what would it be called? : I would play my Father in the Biopic "One Leg Up". If you could go back in time and see any play or musical you missed, what would it be? : The original production of A Raisin in the Sun with Ruby Dee, Lou Gossett and Sidney Poitier, and Glynn Turman. What’s up next? : I will be continuing to hone my craft while looking for opportunities like Bellagio... that allow for exercising this instrument of mine.